On Day 3 of Cross Fit NYC (past Fundemental Classes), my answer is probably no. On Day 4, my answer is likely no, but maybe. It’s funny. I was talking to another, way more advanced, stronger girl than me today. She had on a Nike tank top cut in the back to reveal a cute sports bra and her defined shoulder blades and arms, clearly refined from at least a year of Cross Fit lifting. When a workout of squat lifts was called, she began to wrap and tighten wrist bands around her arms. She’d clearly invested in this sport. She was the only other female in the class (because there was a Women’s Only Workout of the Day right before us, that every female seemed to have been sucked into – and frankly I was a little sad to have missed), so despite our level in strength and experience, we were paired together. I asked her how long she had been at Cross Fit. I watched her crunch the numbers in her brains. “5.5 years in January,” she replied. “That is so long!” I exclaimed. 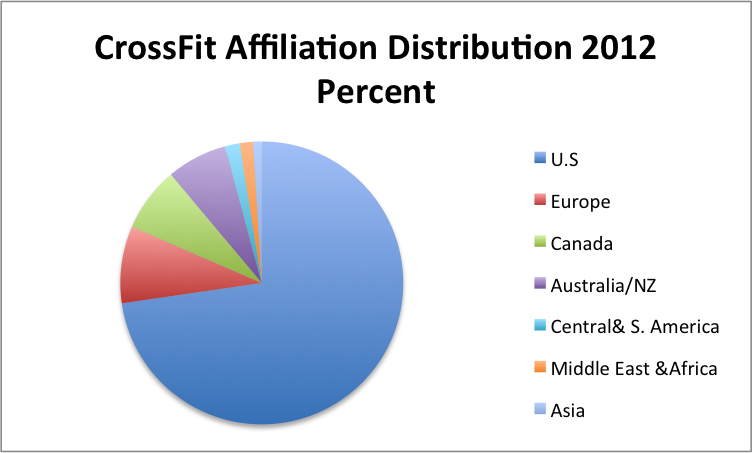 I had only heard of Cross Fit in the last few years and was amazed to hear that the Cross Fit NYC franchise had been in place for 12 years! 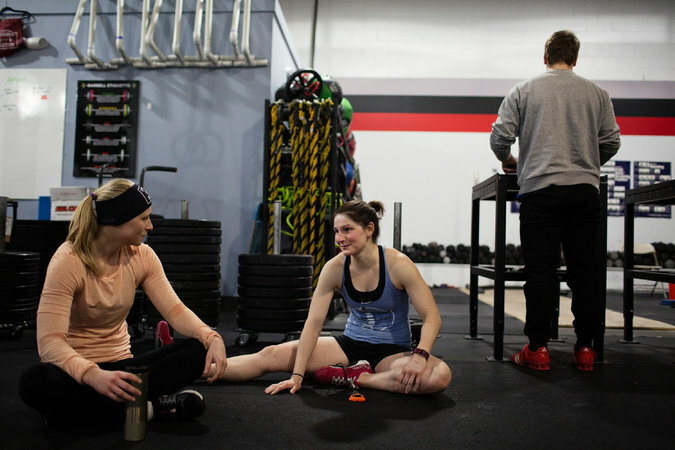 I was also tickled to hear that she began her Cross Fit journey when working in Tel Aviv. I had spent a number of classes up to this point, with recurring moments of self doubt as to whether I’d develop the correct form to lift anything more than the bar without fear of blowing my back, intermixed with a frustrating experience of nearly peeling my face off with the bar the day before when working on lifts with another way more experience partner, who watched me stumble and did not mutter a word in order to help me save face. However, despite these stumbling learning experiences, I have begun to look forward to my classes. I have never stood straighter than I have in these past few days. My body ached so bad those first 4 days of free Fundamental classes, but the soreness was appealing. It meant that I was engaging muscles long ignored. For someone that had taken so much pride in my body as a pole vaulter, it was odd that in the last decade I had merely moved it through the running position. Long had weight lifting slipped, other than when I took up some low level maintenance lifting lightly a few times a week at Planet Fitness, likely with poor form as no one was there to guide me. Now I am starting to see muscles take shape in an otherwise amorphous shape that our bodies fold into as we choose to ignore our muscles. That brings me to my next point of really enjoying that I am now performing weightlifting correctly under the tutelage of engaged coaches. The classes are expensive, but that is because I am receiving a lot of individualized attention from very well trained and committed coaches that are willing to help me no matter how stupid I look continuing to slip back into bad form, despite their repeated direction. They are patient, and if you are willing to work with them, they are willing to work with you! Cost. It’s very expensive. $299/month for unlimited classes. Considering they recommend only 4 classes a week the first year, that’s about 16 classes in a month, or $18.25 per class. However, maybe this is not a bad price considering gym memberships can easily hit $100+ a month here in Manhattan, and it seems quite a bargain comparative to $30+/class Soul Cycle. What will I do if I stop doing Cross Fit? I’m currently intermixing free classes from Athleta Flatiron, Yoga Vida, and Paragon (which I’ll talk about in some upcoming posts), but I do want to pay for some of my fitness, not completely freeloading on the generosity of these businesses. Or maybe if I can continue with Off-Peak classes and pre-pay some set of months, I can bring the cost down to a price I’m comfortable with. I could look to take a class during my lunch hour, and mix in cardio in the mornings before work. Fortunately, I have another 3 weeks left to my Groupon trial to decide. Till then, I’m going to keep pushing myself to make it to class and marvel at the changes I see in my body over the next month. Thanks to all the coaches, if you are reading this!